Just in time, I have read the third of the three nominated books for the Thomas Raddall Atlantic Fiction Award, which will be awarded at the Atlantic Book Awards on the evening of May 10 in Halifax, Nova Scotia. And what an unusual and intriguing book it is. 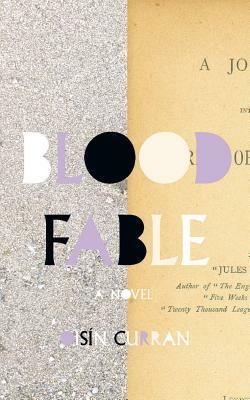 Blood Fable tells a story within a story. But not just any story-within-a-story… one of high adventure and fantasy, told to his parents by an eleven-year-old boy. He lives with his parents, Myles and Iris, in a Buddhist community that is on the verge of falling apart. His cat was just mistaken for a raccoon and shot, and his mother has been diagnosed with cancer. In addition to this, Myles and Iris are under a lot of stress and have many mature, heated discussions around their son. As a way of escaping, and influenced by the adventure stories he’s been reading, the boy starts telling his parents a tale about a lost city; involving ships and stowaways, giant birds and otters, underground caves and tunnels, comets and space travel. Myles and Iris believe their son to be telling the story of his life before birth. Let me tell you a story, a tale of derring-do, of cunning, tenacity, and ruthless ambition to become your child. It will be grand and miraculous and carved in stone, and when it is done you will understand why I had to make you bring me into this world. As the book moves forward, and the narrative moves back and forth between the present (1980, Maine) and the adventure tale, the reader starts to notice small connections between the stories until the events in the story-within-the-story begin to parallel the events happening in their present lives. And the ending brings us full circle to the events and questions at the beginning. There are no chapters, but instead there are small breaks in the narrative as the two stories flow back and forth, little (or big) surprises on almost every page. Dense with imagery and detail, beautifully written, and full of imagination, but possibly requiring another read-through to entirely “get” all the layers and messages in the story. It’s also possible that each reader will come away with their own understanding. It is well worth finding out. … maybe a dragon is a refracted dinosaur. Maybe quiet country people went through Tolkien’s mind and shape-shifted into hobbits on their way out onto his page. Maybe Aristotle is wrong and art is a prism, not a mirror held to nature. Or maybe the mind is the prism and the refraction is the art that emerges on the other side. And if so, good thing, because without art’s prismatic effect, dragons and their kin would be homeless. Where would the fantastical live if it weren’t for books and drawings, sculptures, movies, and the brains of daydreaming schoolchildren? Happily, Curran’s first book, Mopus (2007), promises to be a similarly experimental novel. I’ll have to track it down. Slow light leaks out of hidden pockets like it’s been hiding in the water, in sand, rocks, and grass all night. 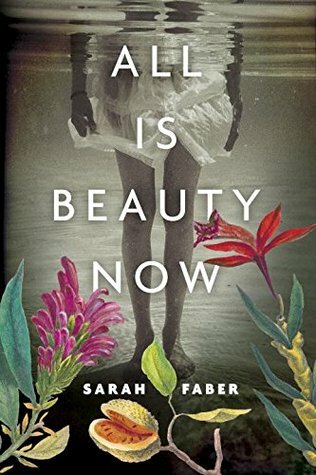 The other two books nominated for the award are A Bird on Every Tree by Carol Bruneau (my review) and All is Beauty Now by Sarah Faber (my review). And here’s a delightful tidbit… Oisín Curran and Sarah Faber are married and live in Cape Breton with their two children. The gala on May 10th will be a nice “date night” for them. This sounds fantaaaastic (pardon the pun). Thanks for the review! I will absolutely be picking this up. You might just be the perfect reader for this book, Rick. Let me know what you think of it once you’ve read it! The Buddhist community aspect really appeals to me — I don’t think I’ve ever read a book with that setting! And how neat that you were able to read all the nominated books and that two are by a married couple. I don’t know if the Buddhist community in this book is a good example of others. One of the themes of the book is whether or not it’s a good idea to blindly follow a leader. The leader of this particular community is being exposed for his faults. Another interesting aspect is that Myles is a follower, but Iris is not. This sounds intriguing. I have to confess that mention of fantasy would usually be enough for me to dismiss a book as not for me but I think I might make an exception for this one. I would have said the same thing, but the fact that this was the only nominated book for the award this year that I hadn’t read yet guaranteed I would read it. I’m glad I did! That final line about the light is stunning, If you hadn’t already convinced me that I needed to read this, that line would have done it! There are so many beautiful passages in this book, but when I read that line I could just picture it so perfectly. I also think that idea of light hiding in the cracks and crevices of the world could make a sweet children’s book…. somehow. I have picked this book up a few times in the bookstore—great cover—but was not certain. Your review leads me to think I would enjoy it. It might not be for everyone, but I think anyone who loves to read would admire it, if not thoroughly enjoy it. I did both. If you decide to pick it up, I hope you like it – and let me know what you think! Which of the three did you like best? I thought I might get this question. I don’t think I can even pick one inside my own head, let alone announce one aloud. 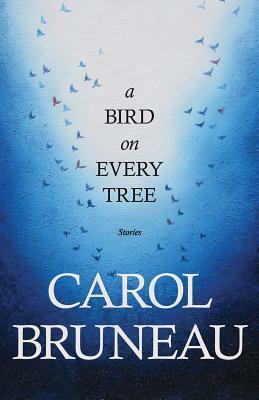 I will say, however, that I think Carol Bruneau’s book shows the most skill over the words she chooses and how she tells her stories. Sarah Faber’s might be the most accessible read of the three. And Oisin Curran’s the most clever and experimental. So, it really depends on your tastes and even your mood! Hmm, that’s an interesting reply. So, you don’t have a favorite for winning the prize? I really think I’d be happy for any of them to win. I gave all of them 4 stars on GR. Oh, that is an interesting tidbit! I love to know that kind of thing about regional authors. I’m looking forward to hearing tonight which book wins. I’ve read only the Bruneau which was so-so for me, so I can’t really hazard a guess. You? I’m not familiar with this author. Are the books a trilogy, or do they compliment each other? I love complementary novels. I read three by Tsipi Keller that went together but weren’t in the same plot. They were fantastic. The three books are by three different authors, but are all nominated for the same award. Oh! Jeez. I can’t believe I missed that. I thought people were saying the books were similar in some way. I didn’t realized they were linked by an award. Books about telling stories always get under my skin. And I, like many others here, love the gossip. How lovely that she took home the Thomas Raddall Prize for it! I was just reading another book-within-a-book, by coincidence – The Eskimo Solution by Pascal Garnier. It was a slim book I kept seeing on the library shelf (our only Pascal Garnier), so I finally took it home and read it. I liked the writing, and the book-within-a-book was interesting… BUT there was an event that put me right off and made me wonder if the author was interested in having any female fans at all. Anyway, that’s a whole other story! Oh, wow, now THAT’s an intriguing comment, I really want to know, but maybe I don’t want to after all? This sounds like such a curious story! I’ll have to check it out.